Items arrive at your door 7-10 days before your event via FedEx, so you can try them on and ensure everything fits. If any of your items do not fit appropriately, we’ll send out replacement items FREE of charge as part of our Perfect-Fit Guarantee! To be eligible for a free exchange you must have placed an order for a total of $50 or more, excluding shipping and notify us of any issue within 48 hours of delivery. After you’ve worn your items for your event, you can send them back in the box they came in. Every tuxedo rental includes a FREE pre-paid return shipping label. Apply this to the package and request a FedEx pickup or take to your nearest FedEx drop-off location. Your rental lasts until 3 calendar days after your event date. Extended Rentals? Buy a rental extension to keep your items longer! Everyone Gets an Email w/ Instructions and a Sizing Form. Assign Your Custom Tux Designs to Your Group-Members. Track Everyone's Progress. Send Reminders & Instructions as Needed. For a cheap and easy, guided experience: the tux builder is the most popular choice for renting a complete tuxedo online. You will be guided through every step of the process, allowing you to make informed decisions in a simplified interface. 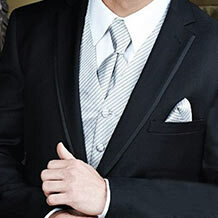 Best of all, our tuxedo builder offers an astounding selection of 100+ tuxedo styles, ranging in price from $79 to $119. All packages/prices-ranges include: a tuxedo jacket, pants, shirt, choice of any vest or cummerbund, choice of any long tie or bowtie, studs, cufflinks and a formal garment bag. Build a Complete Tuxedo Now! You don’t want a complete tuxedo package, and are browsing for individual rental or purchase items. You want to rent from our collections of self-tie neckwear products. 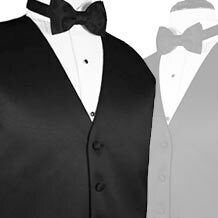 You wish to rent a coatless tuxedo or other customized look that is not available in a complete tuxedo package. Rent items in addition to your Tuxedo Builder items. To browse & shop, just choose a category below or from the navigation bar at the top of every page. Use the browse and shop section of our website to find and rent individual products. Many items are available for purchase in addition to rental. Most product types listed below are included free a complete tuxedo rental package. Over 100 styles of formal coats and tuxedo jackets for every formal occasion. 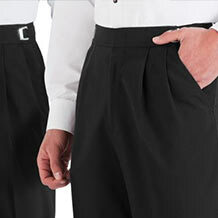 View 30+ formal pant products in several color options with various features and styles. 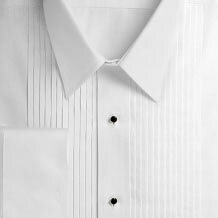 30+ styles of tuxedo shirts of every collar-type, available in pleated or plain-front varieties. Our selection of 400+ tuxedo vests include several print collections and color options. 1400+ neckwear items available in pre-tied and self-tie varieties. 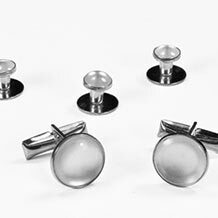 Several formal studs and cufflink sets to complete your formal look. 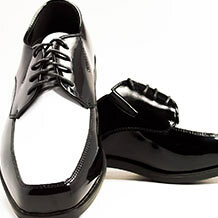 Browse our selection of formal tuxedo shoes & dress shoes. 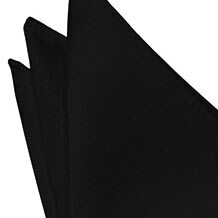 Our pocket squares are available in the same colors and styles as our tuxedo vests. Check out these additional accessories that will enhance your formal wear look! As long as you’re not ordering last minute, you’ll get your items at least a week before your event. If you are cutting it close, you may want to estimate delivery times before ordering. Try on your items the day you receive them. If something doesn’t fit, let us know by visiting our website and clicking the [Order Tools & Exchanges] button at the top of our site. 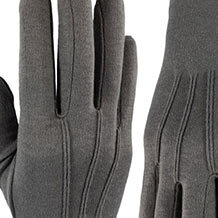 We’ll send out replacements right away without you having to send back the original items. You may simply return everything in the same box once your rental is complete. 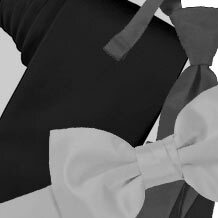 All tuxedo builder orders automatically qualify for free return shipping, as do all orders over $50. Your items will arrive in a package containing a pre-paid return shipping label. When you’re ready, apply the return label and send everything back in the original box! Your items are due back in transit by 3 calendar days after your event. In other words, your items should be in the mail by this time. If you require to hold your items for a longer period you may be interested in purchasing a rental-extension to avoid incurring late fees.